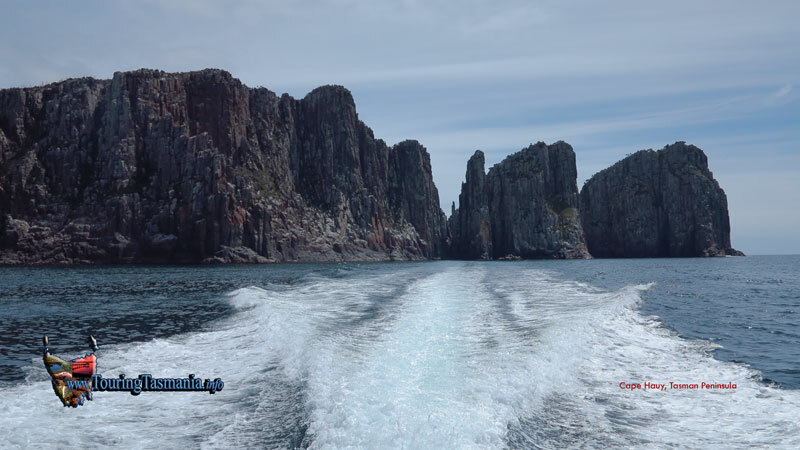 One of the great ways to take in the dramatic sea cliffs of the Tasman Peninsula is by sea. 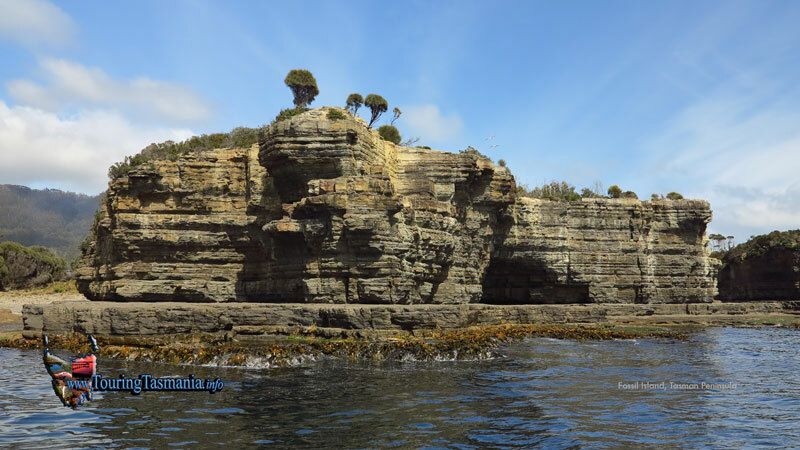 The trip follows the coast from The Blowhole at the southern end of Pirates Bay to Stewarts Bay at Port Arthur. 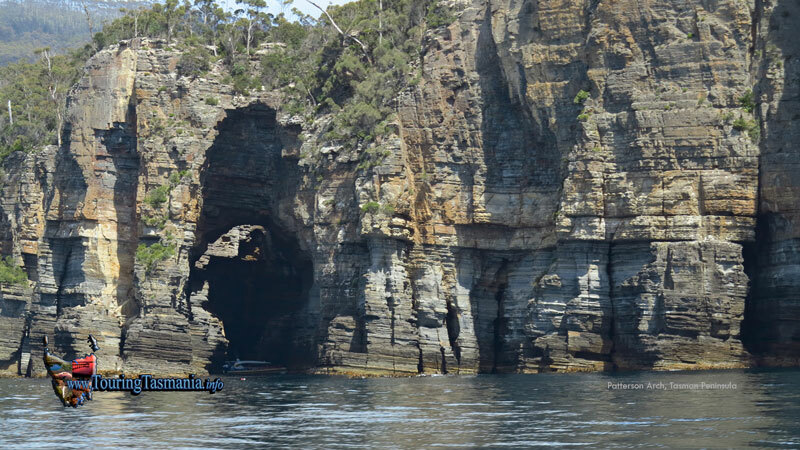 The fast modern boats take in Fossil Bluff, Tasman's Arch, Paterson's Arch and Waterfall Bay. 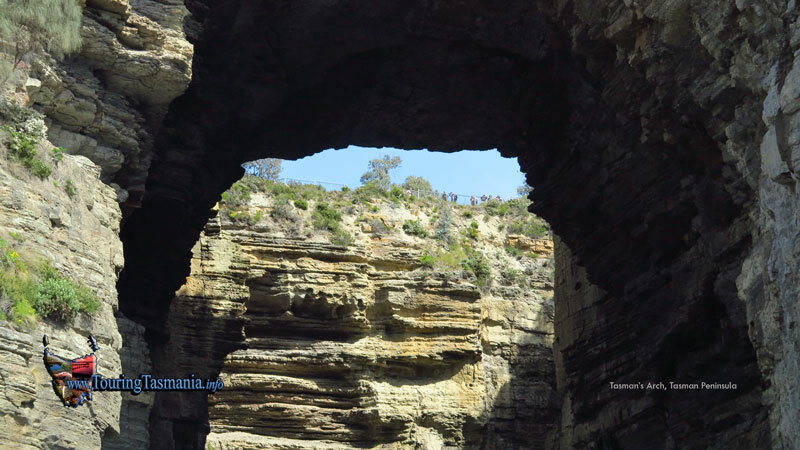 These features are all within a few minutes of The Blowhole. 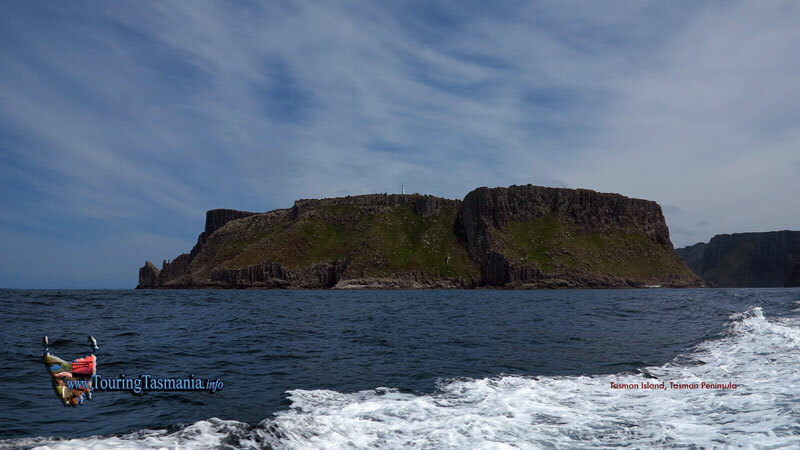 The vessels used are very manoeuvrable and can enter the numerous caves and arches nearby. 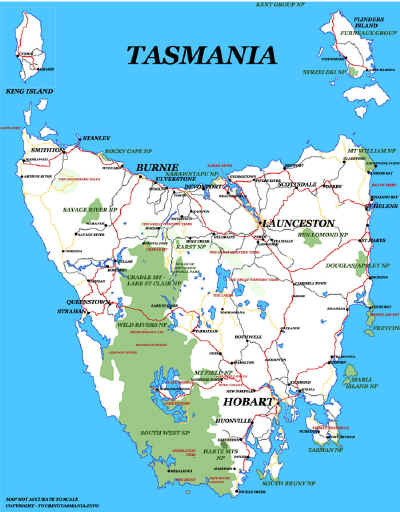 From here the trip moves on quickly to Cape Hauy. The Candlestick and the Totem Pole are the main features here. 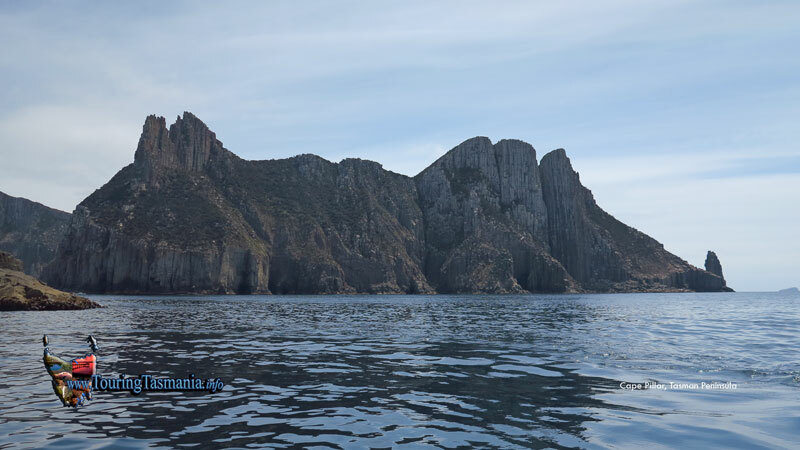 Again the vessels can get up close to the sheer dolerite columns. 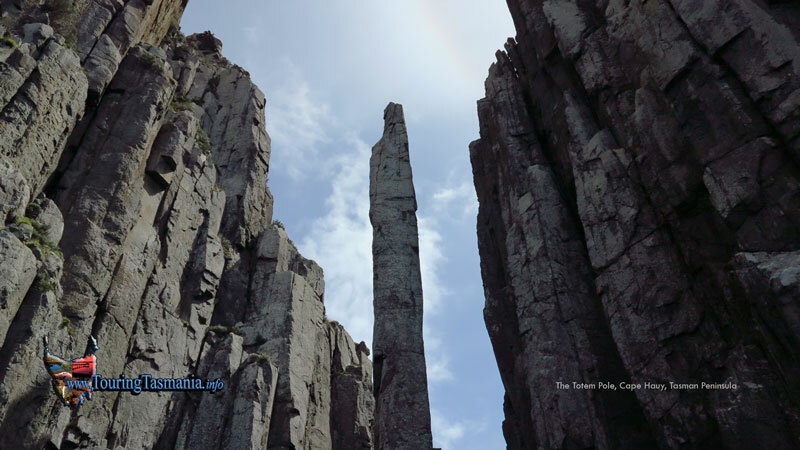 We then move on to Cape Pillar - at 300 metres the southern hemisphere's highest vertical sea cliffs. Right next to the pillars is a dramatic feature known as The Blade. 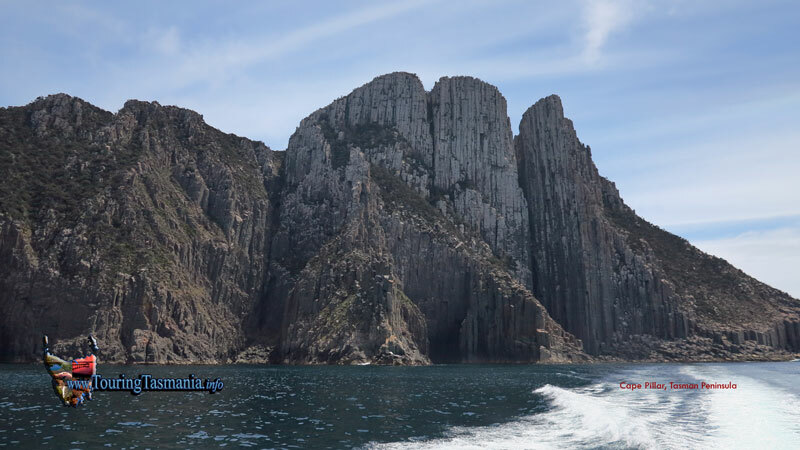 Just south of Cape Pillar is Tasman Island with sheer cliffs all around. 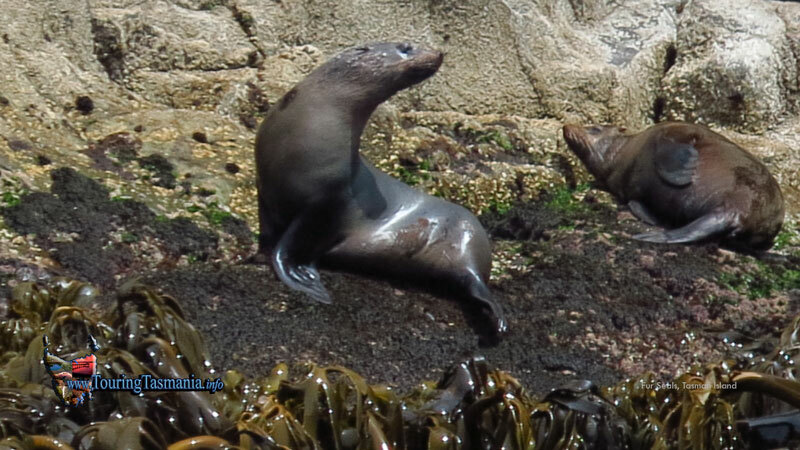 We also get close up to a seal colony. In season Wales can be seen in the waters nearby. There is also an abundant array of bird life including Short Tailed Shearwater and graceful White Bellied Sea Eagles.